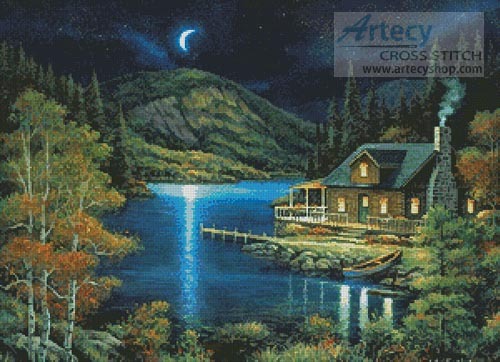 Moonlit Cabin Cross Stitch Pattern to print online. This counted cross stitch pattern of a Moonlit Cabin was created from the beautiful artwork of John Zaccheo. Image copyright of John Zaccheo/ Art Licensing Int'l. A cushion version of this Pattern can also be found here.